Reduce eye strain and improve concentration with an optional Flex Light. 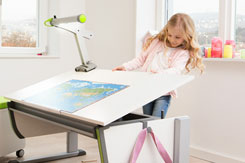 Expand your child's work surface with an optional Side Top or Flex Deck. Customize your child’s space even further with a fun cushioned Blotting Pad for Desktop Surface. 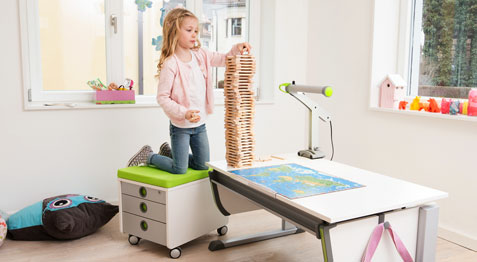 As children grow, their tastes change, as do their spatial, functional and working needs. 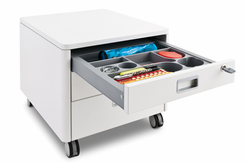 This is why Moll builds functional furniture and accessories with a system. It offers a solid basis now and for the future! 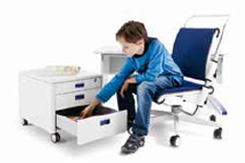 Create a personalized study area for your child with Champion Desk additions. 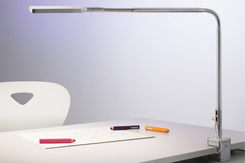 Bendable LED desk lamp clamps onto your desk. Colored back light, night light and USB port add fun versatility.